What is the Wechsler Intelligence Scale for Children V? 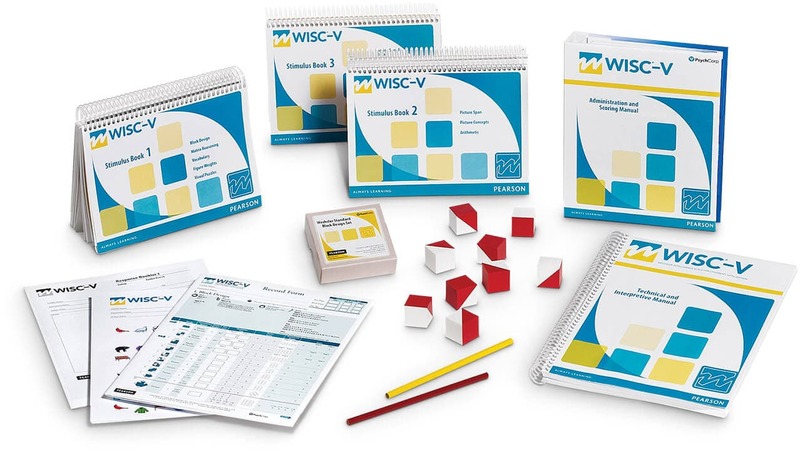 The WISC-V is the IQ test used for 6 to 16-year-old children and adolescents. It is the IQ test with the highest scientific validity. It gives a complete map of the child or adolescent's cognitive and intellectual functioning. The WISC-V is also used to determine if they are intellectually gifted (for this, personality tests are often needed too). The WISC-V has 10 core subtests. These subtests are combined to form five indexes: the Verbal Comprehension Index, the Visual Spatial Index, the Fluid Reasoning Index, the Working Memory Index and the Processing Speed Index. Which test should be used for adults and young children? The intelligence test for adults is the WAIS-IV. The version for young children (under 6 years of age) is the WPPSI-IV. It usually takes an hour and a half for a short interview and the completion of the WISC-V. The report is usually ready 24 hours later - a written report with the IQ score, the indexes and a detailed analysis of the person's intellectual and cognitive functioning. Can my child take the WISC-V in French? Yes, your child can take the WISC-V in English or in French. If a child speaks better French than English and/or has a broader vocabulary in French, it might be better to use the French version.